Joan Sangenís is descended from eight generations of unruly locals who farmed various crops in Porrera. His family first started making wine in 1814 and until 1996 they sold their wines in bulk to the residents of the village. Joan's parents Jaume and Mercé, who both still tend to the family's vines, purchased Mas d'En Compte in 1988 greatly expanding the scope of the family business. Along with this purchase came a ancient, ruined house in the village that they renovated with the intention of bottling their own wines. With much of the newly purchased vines being in disrepair, they also undertook resuscitating these old vineyards, replanting and awaiting the return of their son, Joan, who was finishing his studies in enology. Upon his return to Porrera in 1996, Celler Cal Pla was born. The Sangenís family farms 20 hectares of vines located around Porrera. 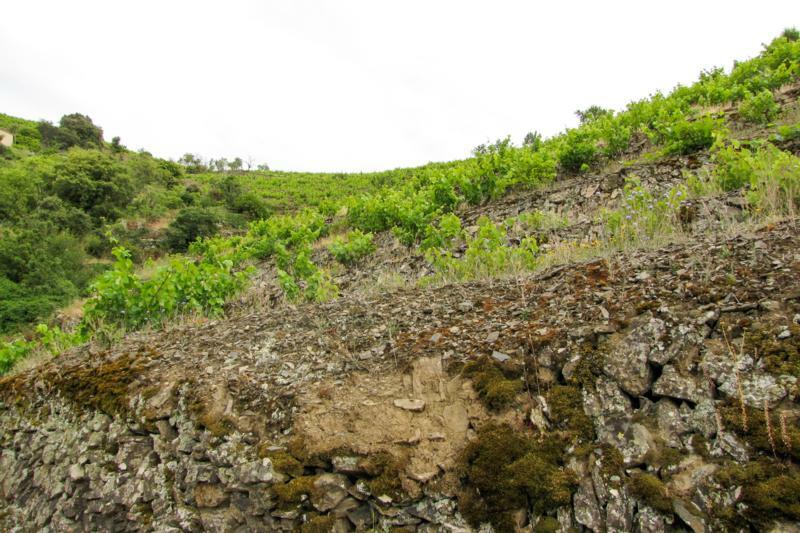 Their oldest vines of Garnatxa Negra and Carinyena are located in the famed Mas d'En Caçador vineyard – arguably the Grand Cru of the village. The remaining vines vary in age from 15 to 80 years old. Farming is done organically, which may sound easy in such a warm and dry climate until you see the incline of some of their sites – here any kind of farming is arduous. In addition to Garnatxa Negra and Carinyena the estate grows Cabernet Sauvignon, Garnatxa Blanca, Xarel.lo, Picapoll Blanca, Macabeau and Moscatel.